Home / How To / How to Uninstall Apps on Windows 10? In this manual for beginners, we will show you all possible ways to uninstall or delete program on Windows 10 computer. There are few ways to get rid of unnecessary apps on your computer so let’s go through each of them. 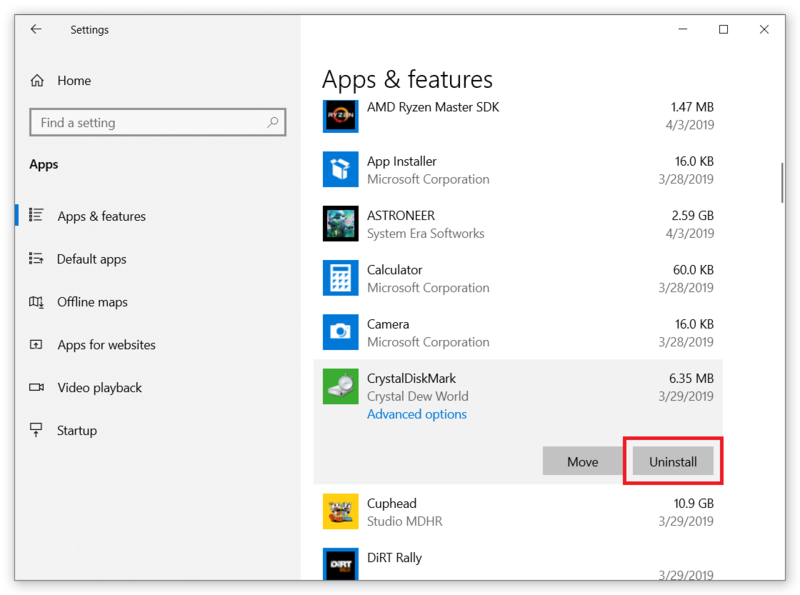 How to Uninstall Apps from Microsoft Store on Windows 10? This one is very simple. It literally takes only a few clicks to remove program from Windows 10. Press Start and locate the program you want to uninstall. Right-click it and select Uninstall from the context menu. Confirm your decision. Done. Another way to do the same is to press Win + I and open Apps. Go to Apps and Features section and find the app you need to delete. Click on it and press Uninstall. Again, you need you to confirm your decision. Important: some default apps are required for the proper work of your computer. They can’t be removed. If you do not see “Uninstall” option in the context menu, then you can’t uninstall this app. Deal with it. How to Remove Classic Apps on Windows 10? You can use these two methods not only with apps from Microsoft Store. 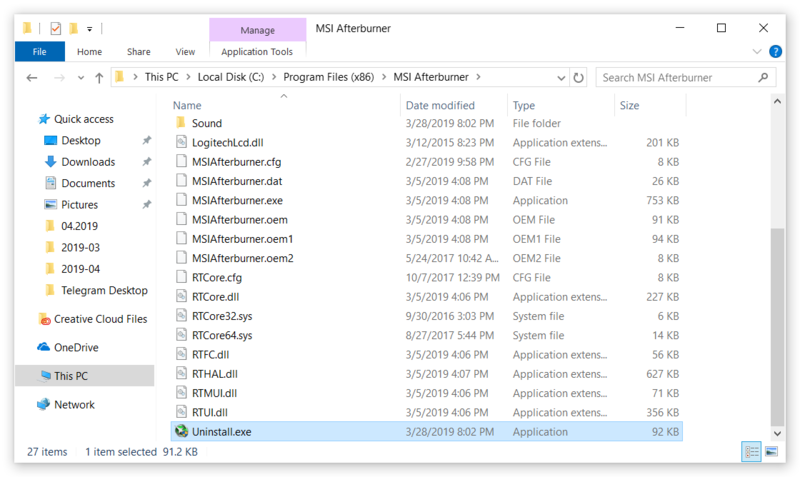 Any app installed using .exe or .msi file could be also removed in the same way. The thing is that it won’t happen silently in the background. 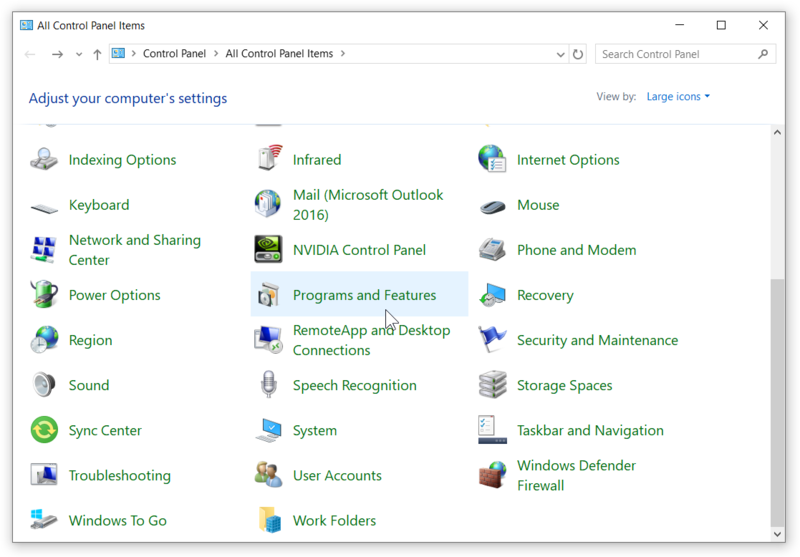 After you press Uninstall from the context menu or in the Settings window, the system will open classic Control Panel with the list of installed apps. Tip: you can also open it using Win + R – control. Open Programs and Features. READ ALSO: How to Clear Clipboard in Windows 10? An important thing to note: you can’t delete apps from Microsoft Store using Control Panel. These apps simply won’t appear in the list. Select that one application you do not need anymore. Click on it and then press Uninstall / Change. This will open program’s “uninstaller”. Uninstaller – is a small app within the app. It is required to properly remove application files from the system and not leave any unnecessary junk. Some apps use default and universal uninstaller, others have a custom. Simply follow the on-screen instruction to remove app from Windows 10. Some uninstallers requires user to go through some steps, other work in a “one-click” way. Another way to locate uninstaller is to open the folder where the program hosts its files. Find something similar to “Uninstall.exe” and run it. We do not recommend using this method because sometimes this file is buried deep down in the jungle of subfolders. In addition, some apps put their files into the hidden folders, inaccessible for the average consumer. Try this only if you can’t uninstall app on Windows 10 using the methods described above. Can’t find an app in the app list or in the Start menu? There is no such thing as “uninstaller” within the app folder? No worries. Perhaps you are dealing with “portable” software. Windows does not install this kind of apps in a traditional way. You can run portable software simply by launching an executable file from the downloaded folder without the need to run the installer. In this scenario, the app won’t appear in the app list and won’t register any uninstaller. That is why you won’t see it in the app list and in the Control Panel. Simply proceed to the next method. READ ALSO: Why Does Microsoft Compatibility Telemetry (CompatTelRunner.exe) Loads High CPU/Disk on Windows 10? Next one is a bit brutal. 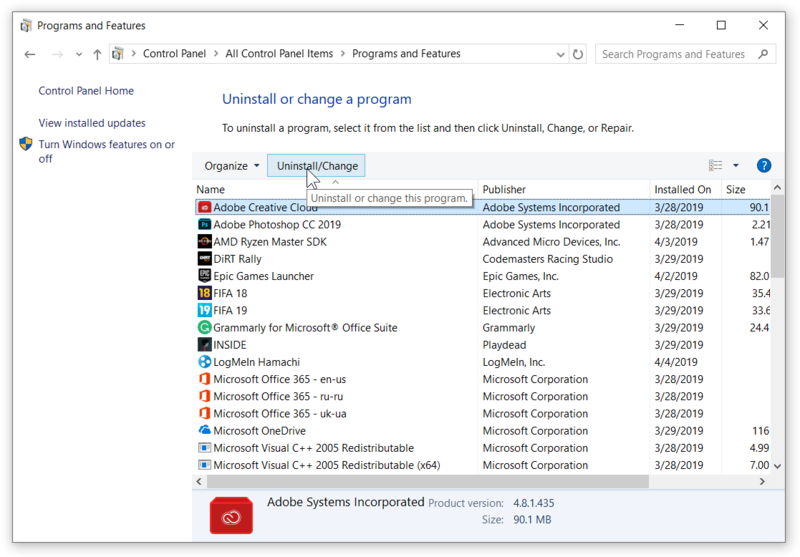 If an uninstaller does not work and you can’t remove app from Windows 10 using traditional way, the only way to remove it is to simply purge app folder using good-old Shift + Delete. Before you start, make sure you have shut the program and its processes down, otherwise, Windows won’t allow you to delete it (files will be still in use). Locate the folder with the app inside, select it, and press Shift + Delete. Confirm deletion. That’s all. Word of caution: use this method with portable software only and with apps you can’t really delete using traditional way. It is not wise to delete installed apps using Shift + Delete because thus you leave a lot of junk after the app inside the System Registry and other folders.